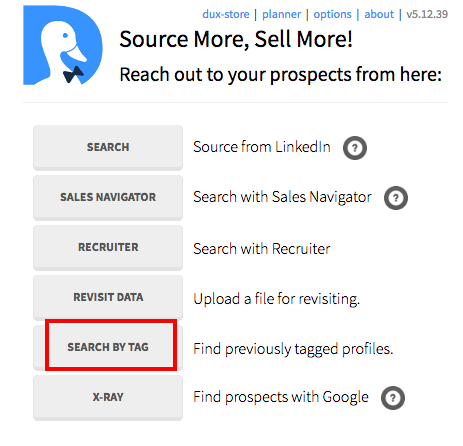 Sales Navigator tags are not recognized by Dux-Soup as we have our own tagging system. If you want Dux-Soup to find or recognize a certain profile by a specific tag, you need to tag them with Dux-Soup first. What is “Search by tag” and how does it work?